Two FirstClass apps exist on Apple’s App Store and Google Play. FirstClass Mobile, and the newer FirstClass GO. Depending which version you prefer, the software will have different configuration settings. FirstClass GO is the most current software. After downloading FirstClass GO to your mobile device, it needs to know which server it is connecting to. 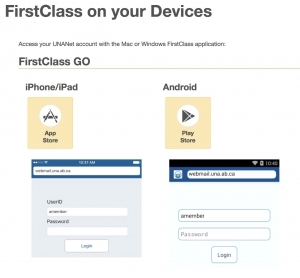 While FirstClass Mobile is an older app, some members prefer it. 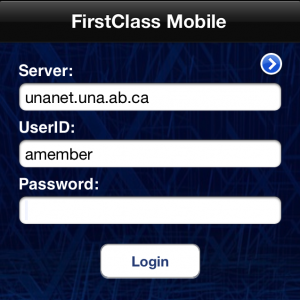 The server for FirstClass Mobile is the same as for the FirstClass desktop app.